Question: Hello... mera c sections delivery hua hein.. aaj 1month 15days completed hua hain.. but aaj mujhe ekdam light green colour discharge hua hain.. but discharge ekdam rassi ke jaisa lamba tha jo meine vegina se khiske nikala hein... is it normal?? Answer: hi dear! so you might have to consult your doctor dear as this will require a physical examination to see if everything is fine dear. and also to see your c section scar if its doing well. 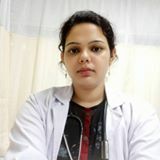 and after c section or normal vaginal delivery people can experience pink or watery discharge and it is normal to see them so dont worry dear. but we need to see if everything is going good dear. take care. Question: Hi... i have a question... meri actual date se hmesha 3 din upar hokar period aata tha. Like agar 24 ko aaya is month to agle month 27 ko aayega.,jo mere sath last month hua tha. Is baar mujhe period 27 se teen din upar 30 tk aana tha. But kal se mujhe dark brown colour ka thick (jaise boiled rice) jaisa kuch nikal raha hai. Kal ek baar aur aaj jitni baar toilet gyi utni baar. Wo bhi hath lgane se pta chlta hai. Undearwear me kuch nhi lga. Please agar koi mujhe smjha de ye kya ho raha hai. I am planning since 6 months. Answer: You can go for checkup dear. May be its pregnancy symptom.